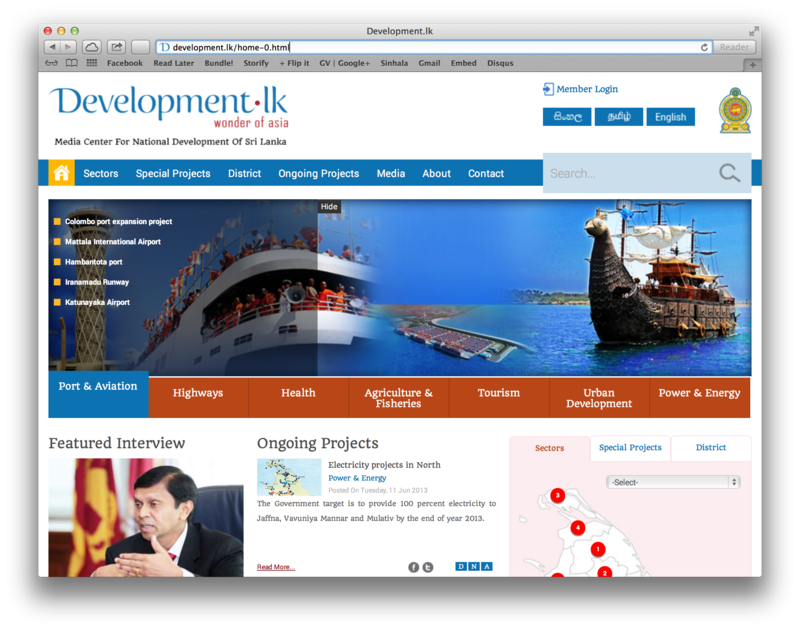 The development.lk website was launched late August 2013. At the time the first snapshot of the site was it lacked any Sinhala or Tamil language content. Much of the ‘DNA’ (Data, News and Analysis) tabs / sections of each project were either unpopulated or under-populated. Given the high likelihood this site goes the way of the Regaining Sri Lanka framework website, I’m archiving it on a regular basis for posterity. Download the zip file here (97Mb zip file).